You’ll commonly find deposit slips in the bank. 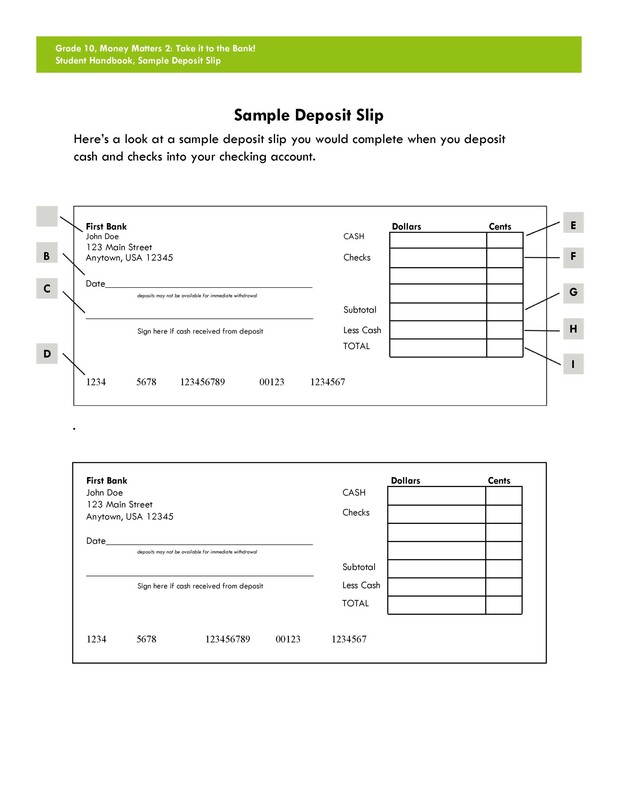 If you’ve ever seen a deposit slip sample, you’ll know that it’s just a small document or form. It’s used when someone wants to deposit money into a particular bank account. 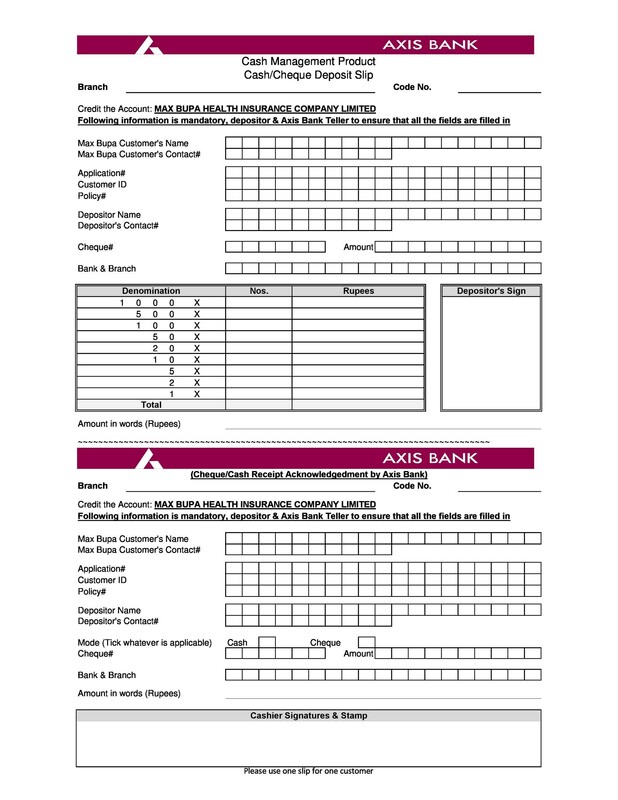 A bank deposit slip template is a printed slip of paper given by a bank to its account holders or clients. In order to use it, you’d have to write down all the required information on the spaces provided. You have to include relevant information. These include the account name, account number, and the money you’re going to deposit. 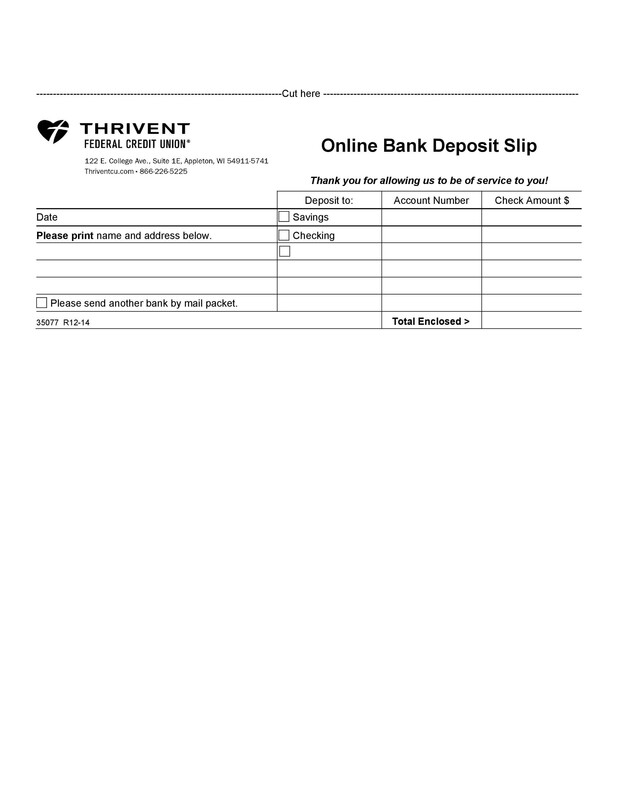 A deposit slip is a handy tool you can use to keep track of all your money. 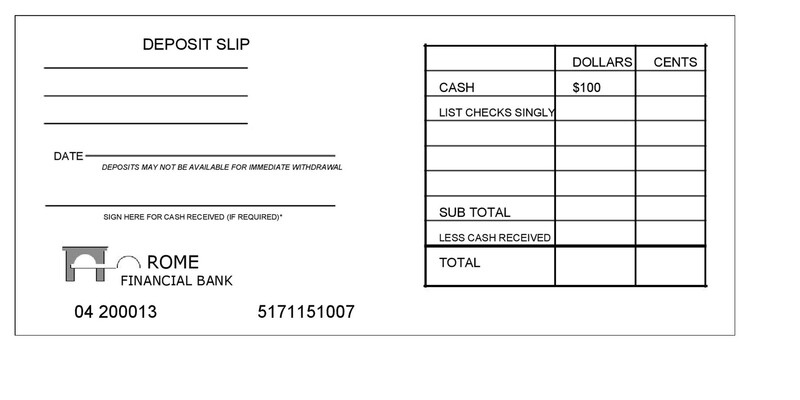 You’ll receive a copy of the slip after your transaction. 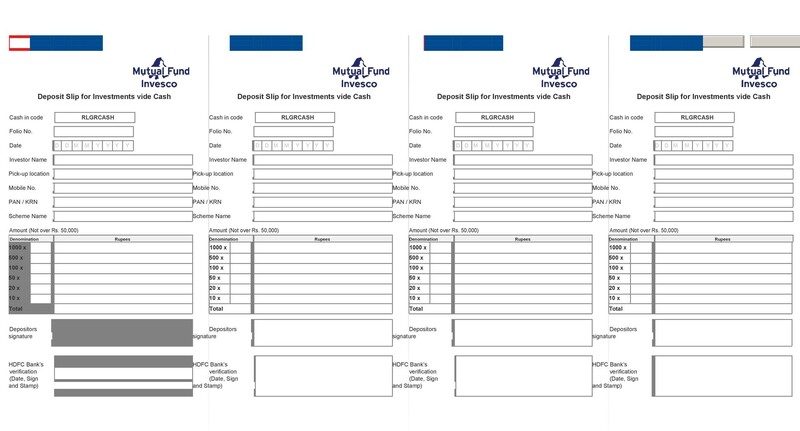 Keep all these slips in a file so you can monitor all the money you’ve deposited into your account. You can also keep the slips you’ve used to deposit money into other people’s accounts. 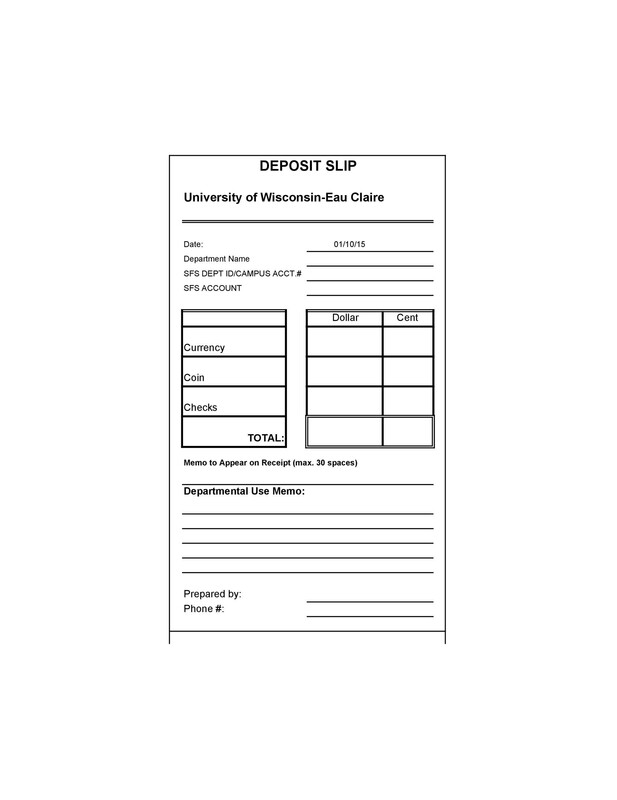 Some common deposit slip examples are those for savings and current accounts. Banks all over the world use them to verify a transaction and prove that the deposit had occurred. When you give this slip to a bank teller, he/she would inspect it. The teller has to make sure that all the information written is correct. Then the teller would input your transaction into the bank’s system. 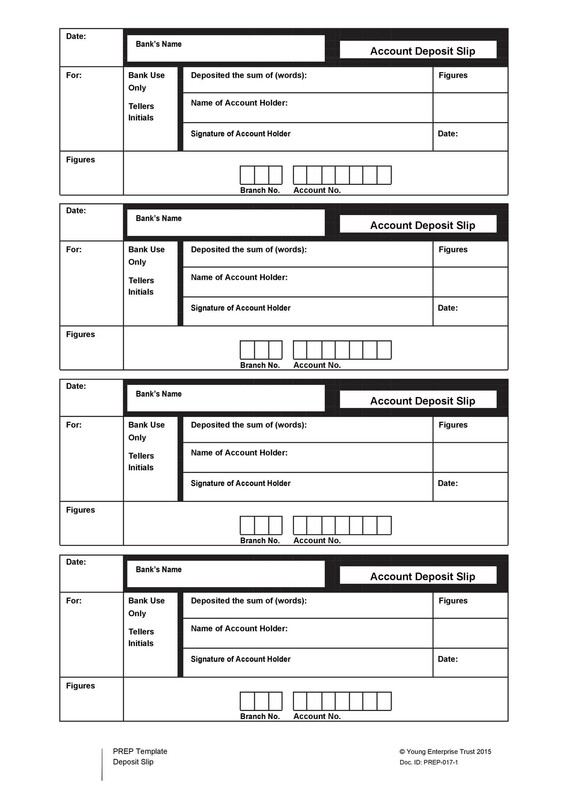 If you work for a bank or you own it, you may have to print out your own deposit slip templates. You can download a template here or come up with your own custom template. It’s possible to make different kinds of templates for different transactions. Just make sure that they contain all the necessary fields. 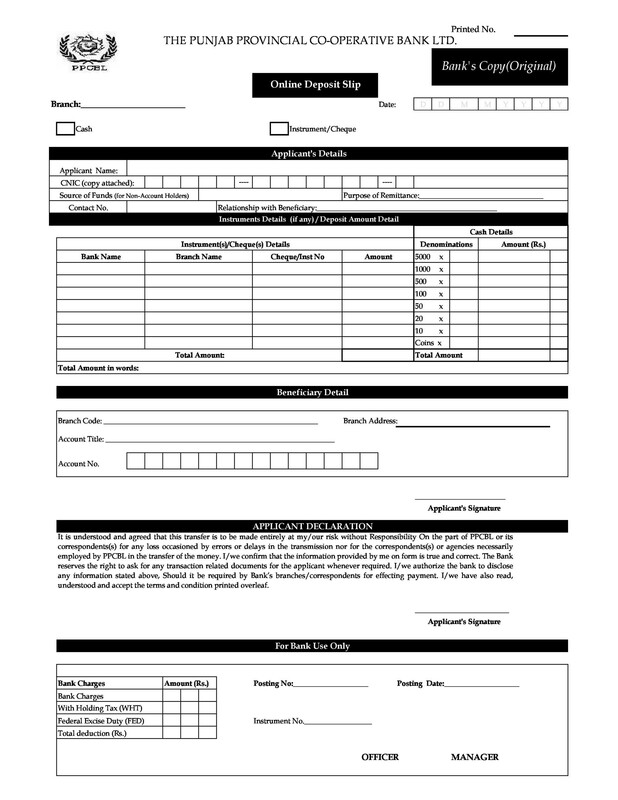 Include these so your clients can fill in the relevant information needed. 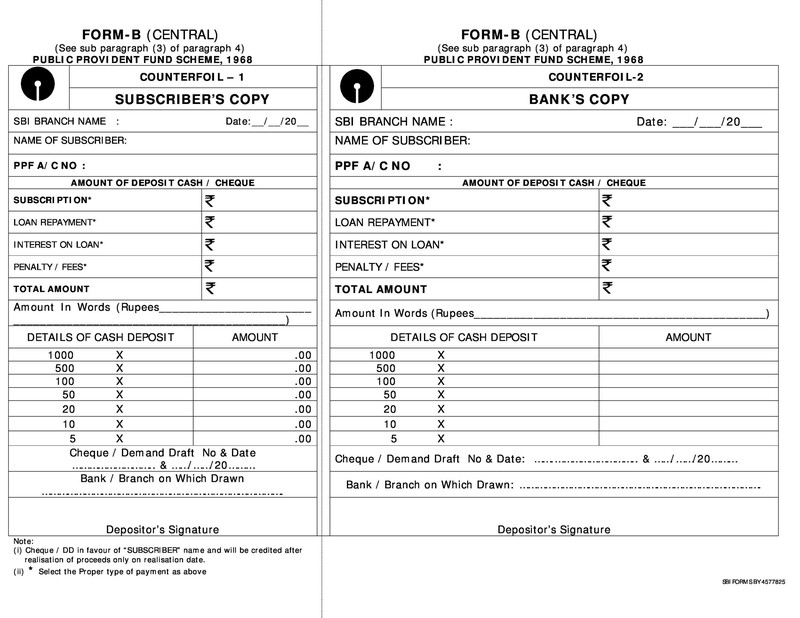 A bank deposit slip template is a piece of paper given by a bank to its clients. It contains relevant information about the money the client wants to add to an account. 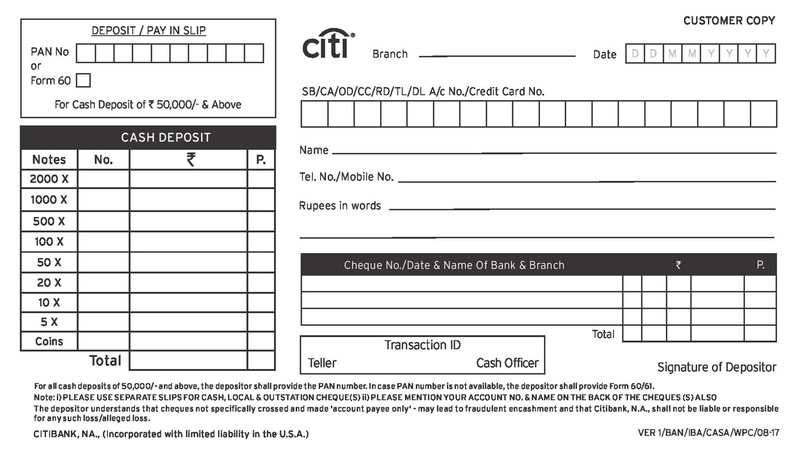 Although a lot of banks have started using ATMs, deposit slips are still very useful. This slip is a small kind of document given to a depositor. A client may deposit money into his own account or into someone else’s. 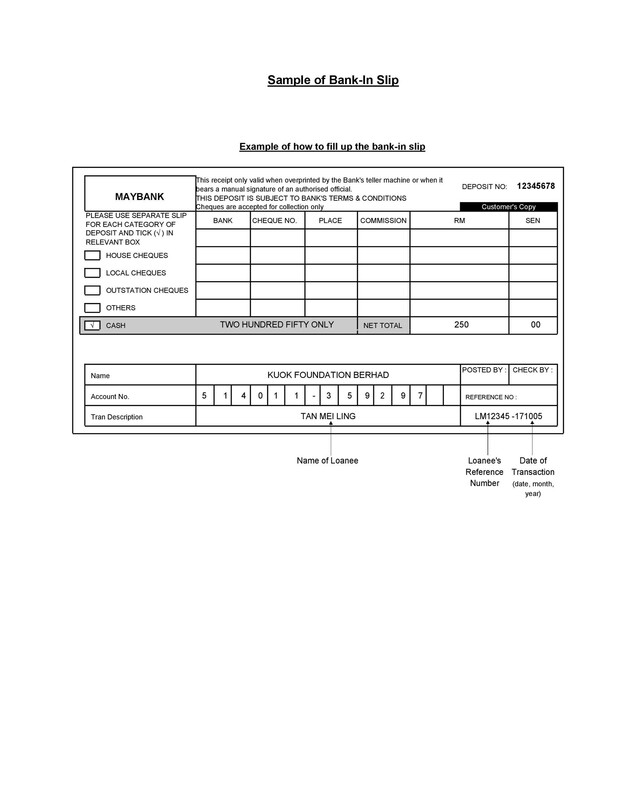 The slip contains information such as the account number, name, and type. The most important purpose of this slip is to serve as proof. With the slip, you can confirm that the money specified on it is from the depositor to the account it’s meant for. It’s solid evidence that provides the depositor with financial protection. When the depositor gives the slip to the teller, he/she processes the transaction. Then the teller gives the slip to the depositor as confirmation that the of the deposit. 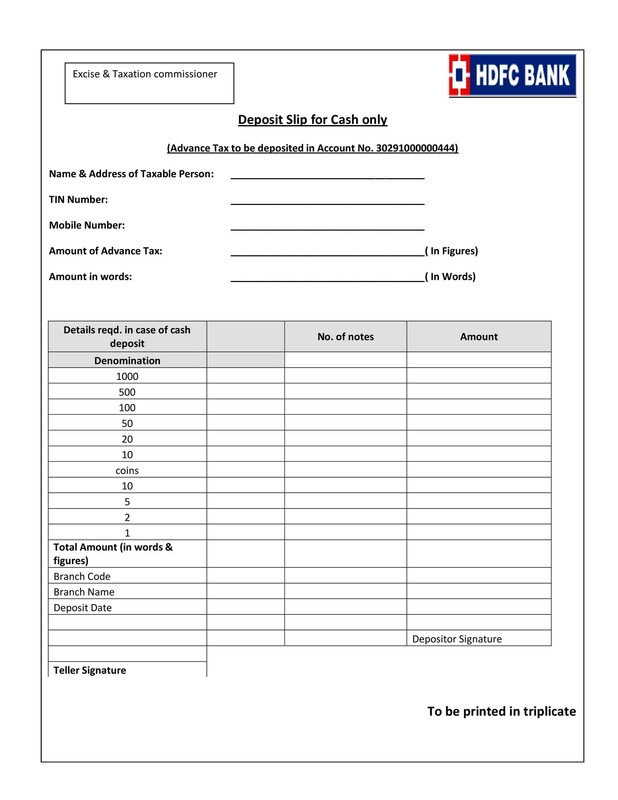 Another purpose of deposit slip templates is to ease the process of depositing money. When a person wants to deposit money, he would have to fill out a deposit slip sample of the bank. It would already contain all the required information. Because of this, the teller won’t have to ask any questions about the transaction. This makes the process faster. 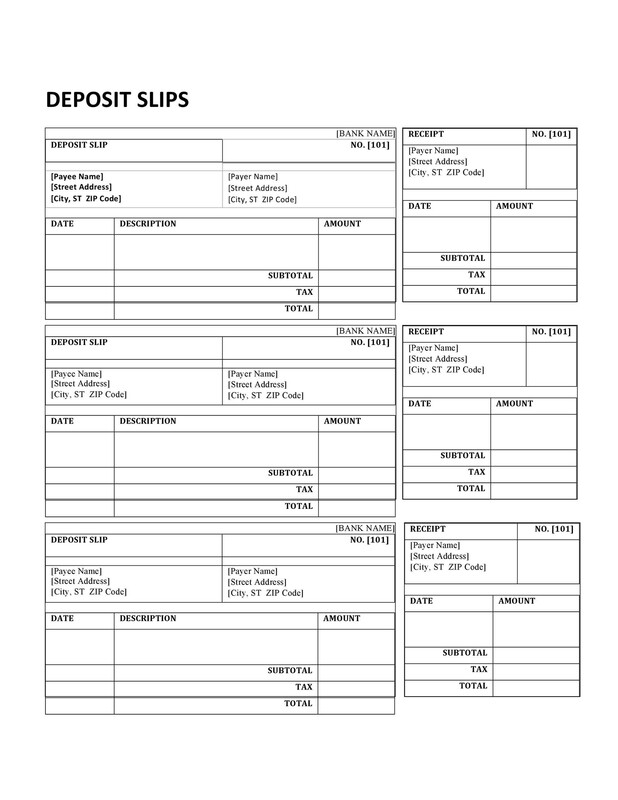 Depositors can use these slips to keep track of the money they deposited. 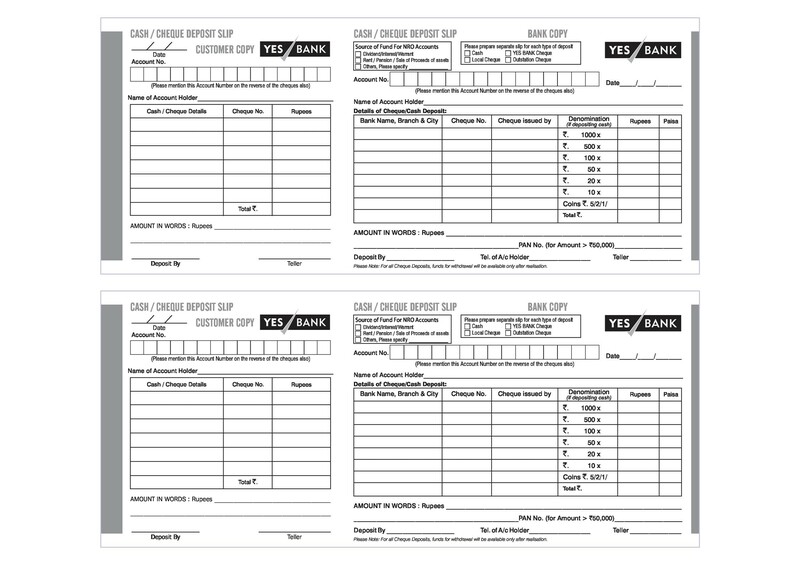 Banks can also use their copy of the deposit slip to keep track of all transactions made in a day. When you think about it, this piece of paper actually provides protection to both parties. Such slips can also serve as proof of payment. For instance, you may want to purchase something from an online shop. Sometimes, you’d have to pay the merchant through bank deposit. Then, after you’ve made the payment, you have to send the deposit slip to the merchant as proof of payment. It would contain the information regarding the amount you’ve deposited as payment. It would also include the date you make the payment. After the merchant has checked his own account, he would then start processing your order. 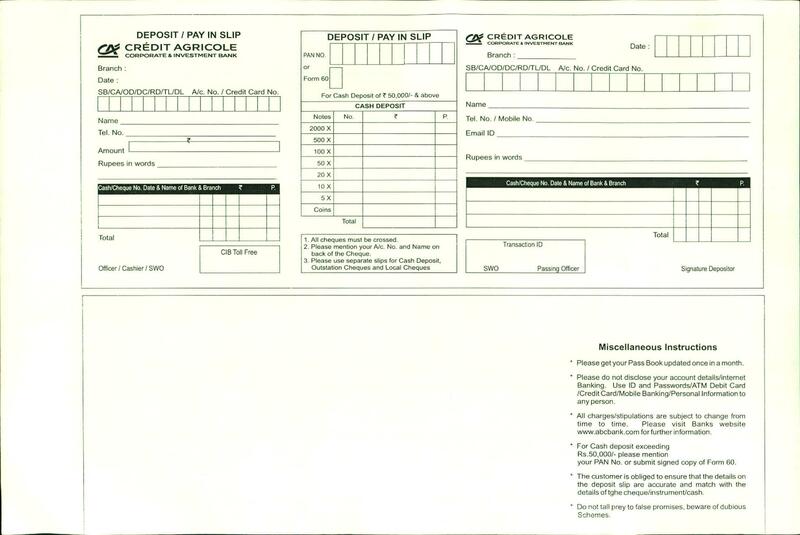 These days, bank deposit slip templates are becoming obsolete. ATM cards have become more popular. Because of this, people feel like depositing through them is a lot more convenient. They use the ATMs to perform their transactions. This eliminates the need for the little slips of paper. 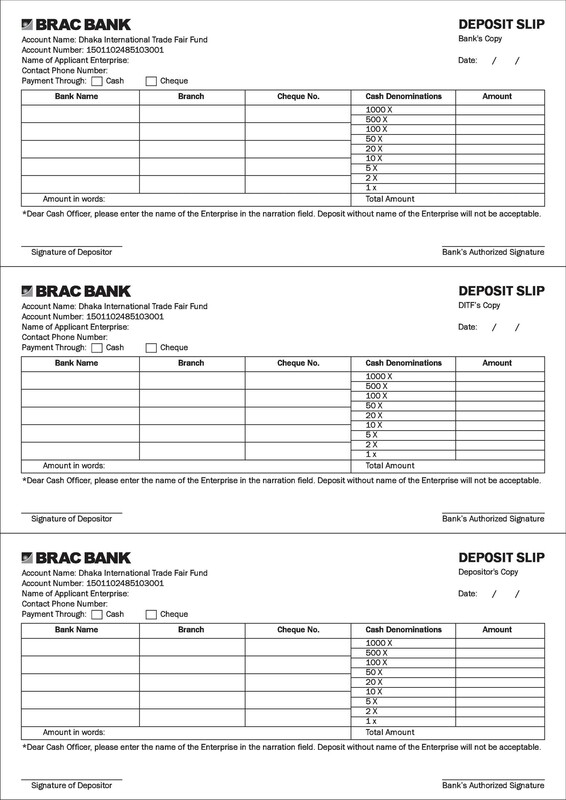 Check with most banks and you’ll see that there are different types of deposit slip examples. They vary according to the account type you’re depositing money into. The most common ones are those for checking and savings accounts. When you’re writing on such slips, you need to write down the details of each check. You’ll also have to write down the net amount you’re depositing into the account. The bank will check the details on your slip, but you need to make sure everything you’ve written is correct. If the bank processes your transaction, your money would already go into the account on the slip. So if you made a mistake and your money went somewhere else, it would be quite difficult to take it back. When you’re making a deposit personally, you can do so at the bank. But there are other ways to make deposits. The most common ones are through an ATM or by mailing a check to your bank. People have been using deposit slips for years now. This is because they are very handy and easy to use. 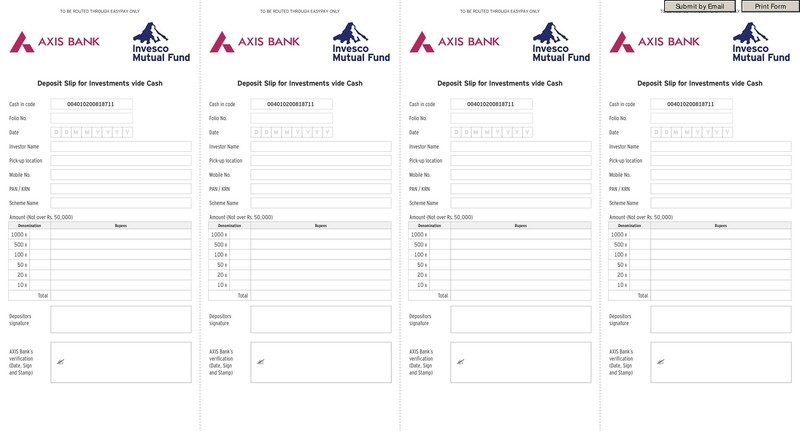 Templates for such slips are usually issued by banks but there are also other ways to make them. Let’s discuss those next. 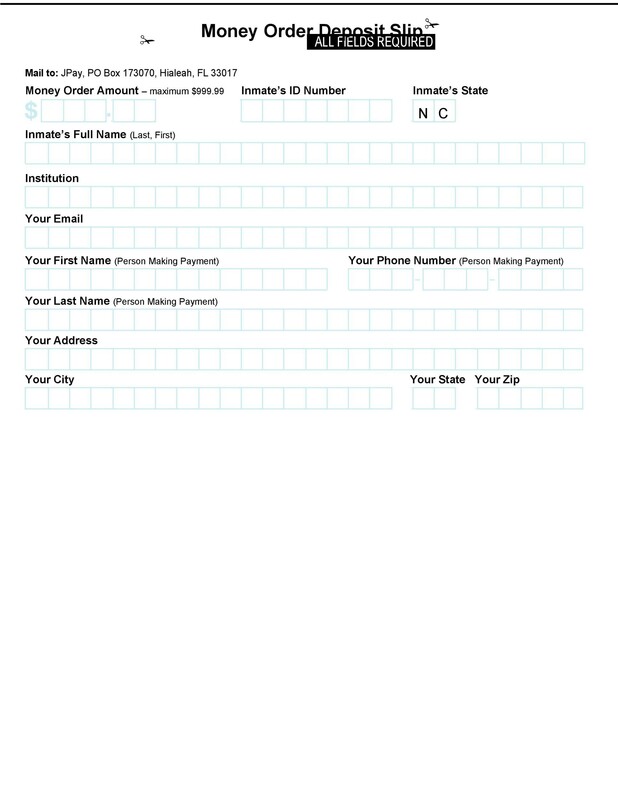 If you want to make a deposit at your bank, you need to fill out and submit a bank deposit slip template. You can get these slips for free from your bank. But they usually only issue a few slips at a time. 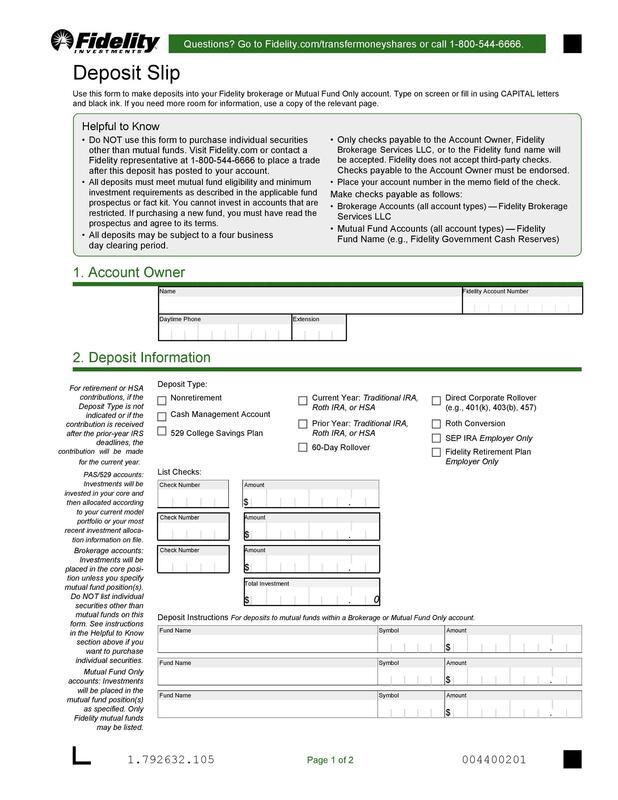 Nowadays there are a number of programs you can use to make your own deposit slips. The great news is that a lot of them offer a free trial before you need to purchase the software. 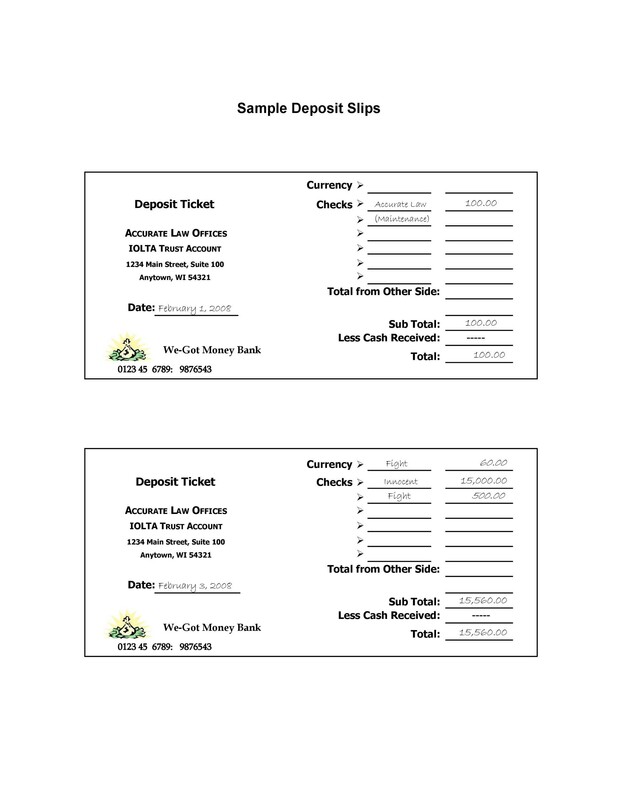 Test the free trial by making and printing out some deposit slips. Then take them to your bank to see if they will accept your homemade slips. 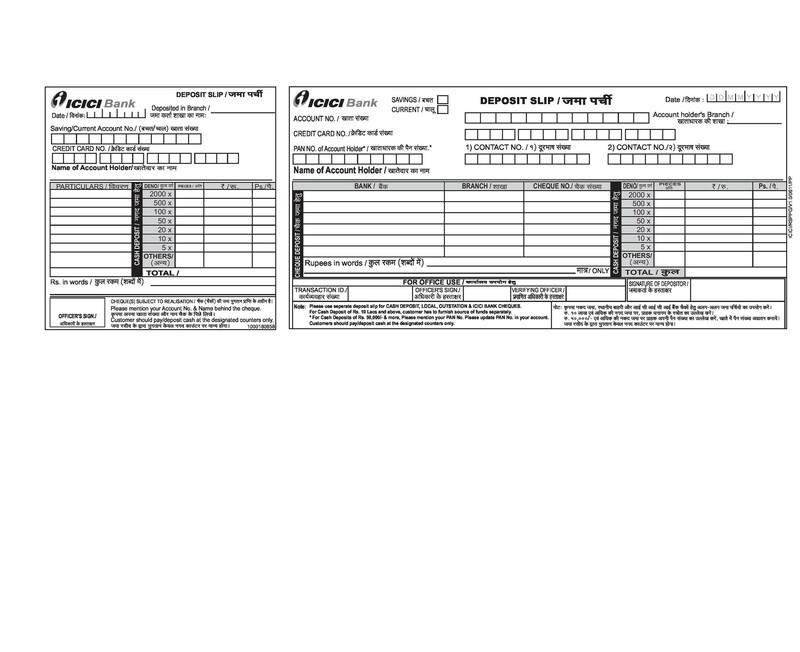 Your bank may accept or reject these slips. That’s why it’s better to take advantage of the free trial version of the software. You don’t want to buy the software only to find out that the slips you’ve made with it aren’t valid. When you’ve found the right software to create your homemade templates, print a sample. 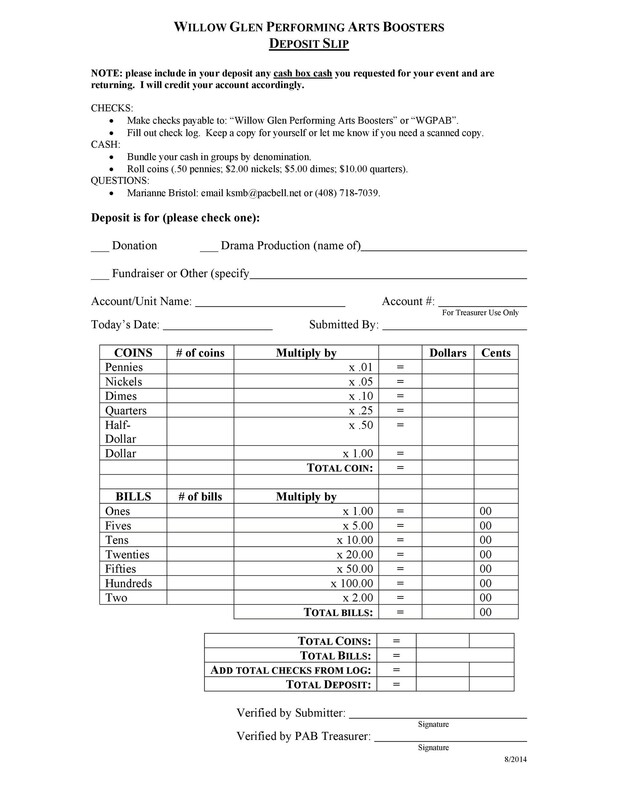 Print out your deposit slip sample on standard paper. Do this after you’ve confirmed that your bank will accept the slip you’ve created. Some software might require you to use a certain type of paper. This is another thing you need to check before you buy the software. There may come a time when you want to change banks. You may even want to open an account in a different bank. In either case, make sure to change your slip templates too. You may have to re-design your template and bring it to your bank for inspection and approval. 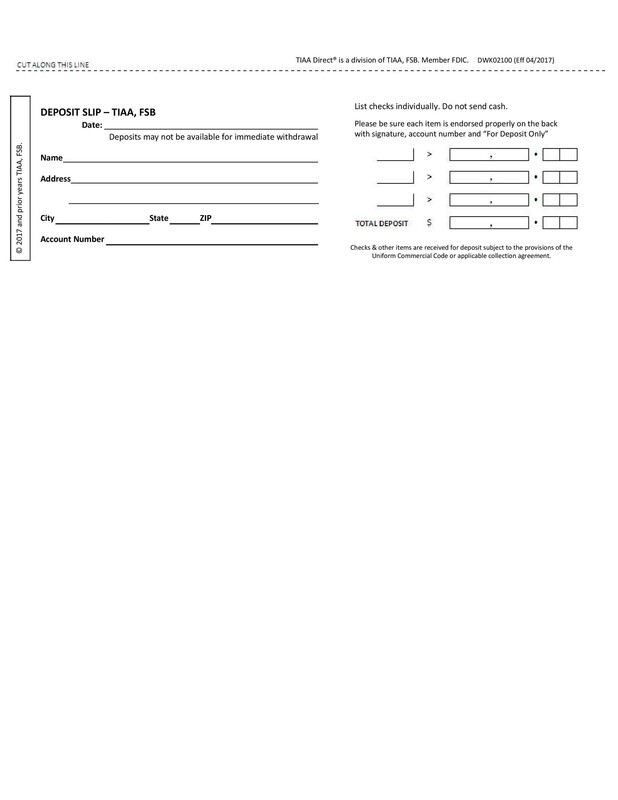 Do these before you start printing out a bunch of slips for use. If you’re a bank owner, you may want to design your own template. You can do this if you don’t own a bank franchise wherein you have to use the slips from the bank’s main branch. 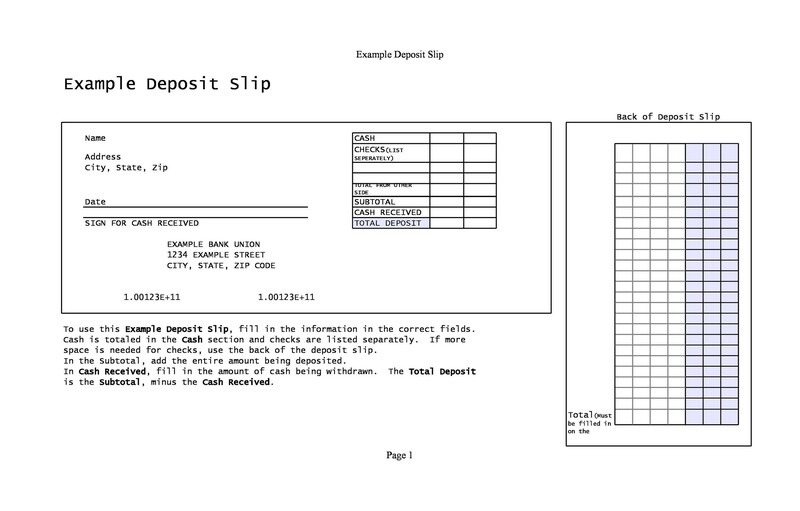 To create your own template, use a special program for deposit slips. Then start adding the information you want your clients to fill in. 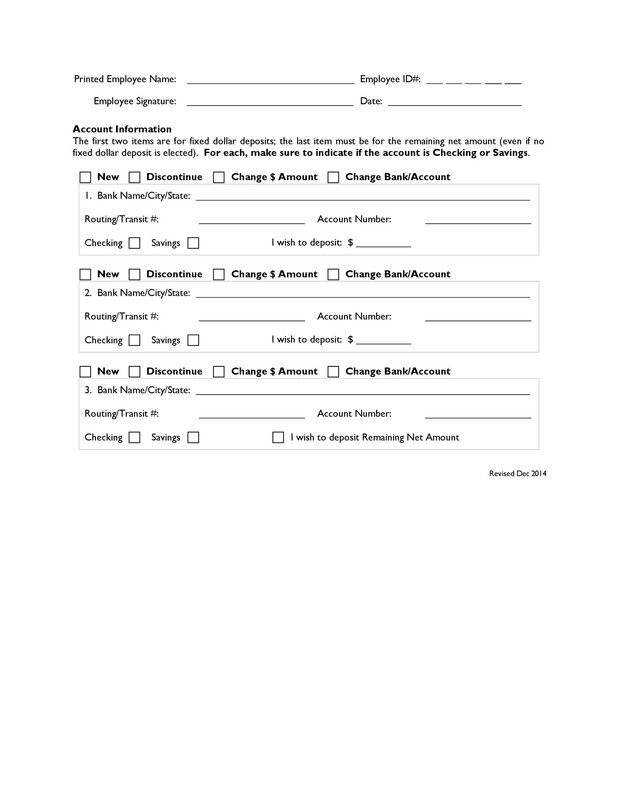 These include account information, date, bank branch, and more. 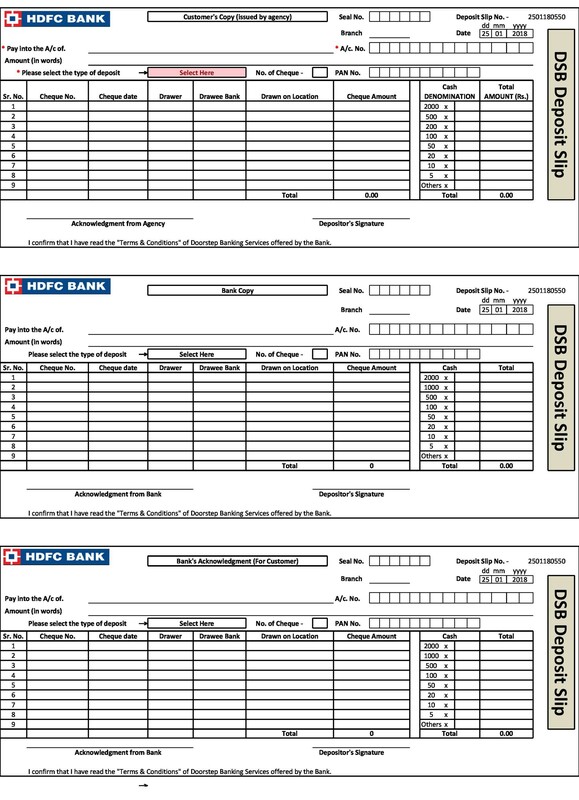 You can look for deposit slip examples online as a basis for your own template. Or you can download a template here and use it as your guide. Although not a lot of people choose to make their own slips, it’s good to know that it’s a possibility. 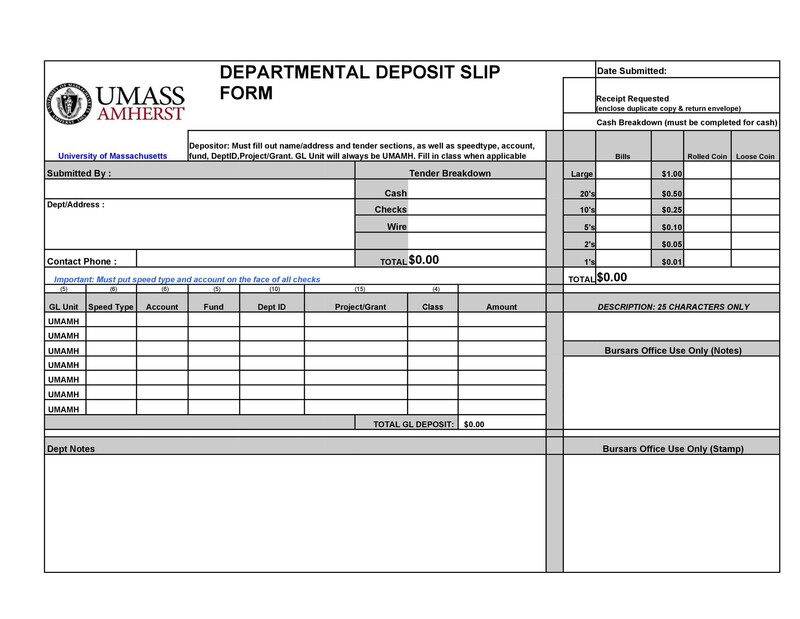 As long as you have the right software, you can make your own deposit slips and use them. Either that or you can create new templates for your bank’s use. Now that you know how to make a new template, the next step is to learn how to fill-up the slips. In order for you to make a deposit in the bank, you’d have to fill up a slip neatly and accurately. 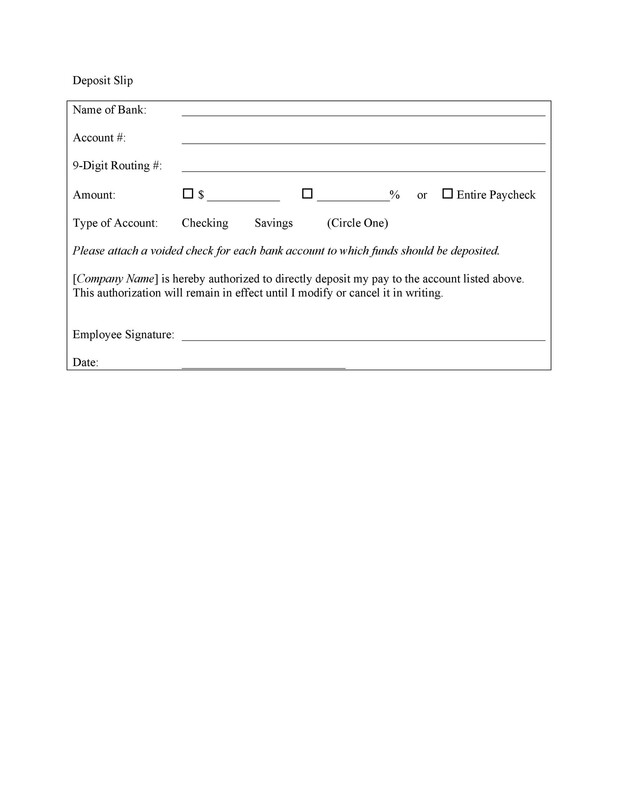 The deposit slip would help the bank teller process your transaction. Filling out these slips may differ. 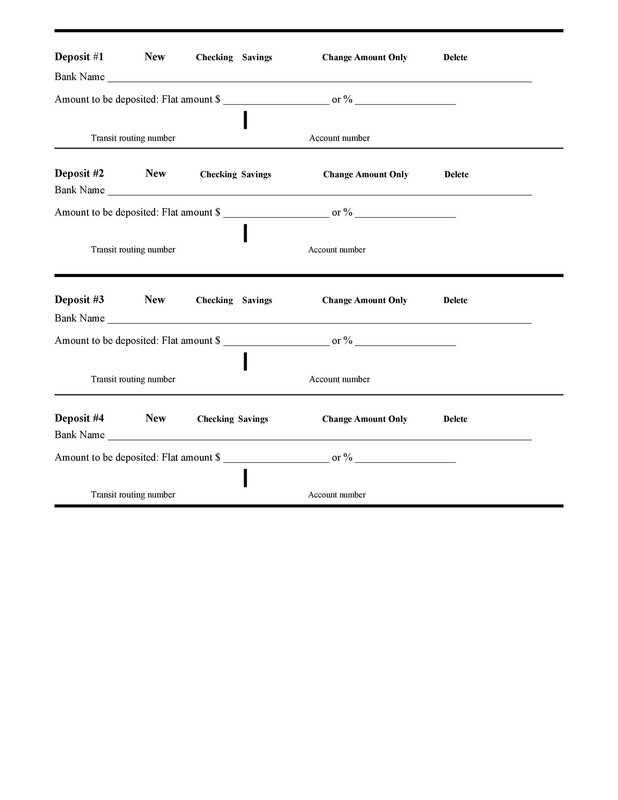 You’ll fill out a slip differently when you deposit money into a savings or checking account. First, write down your personal information. This includes the account name and number. If you’re using a pre-printed slip from your own checkbook, you may skip this step. Next, write down the date and the bank branch information if needed. Then write down the amount of your deposit in cash. You need to specify the number of bills and coins you’ll deposit. If you’re depositing a check, then skip this step. 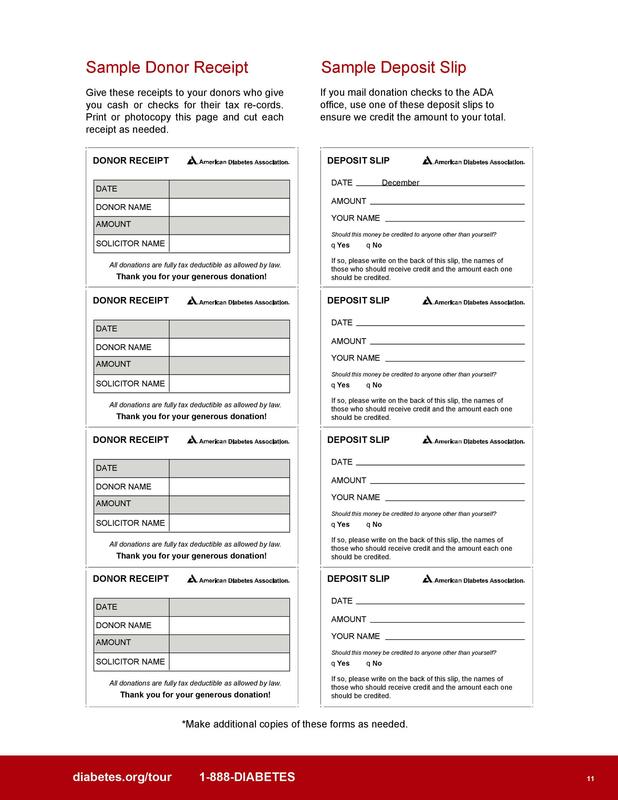 If you’re depositing a check, list them all individually. 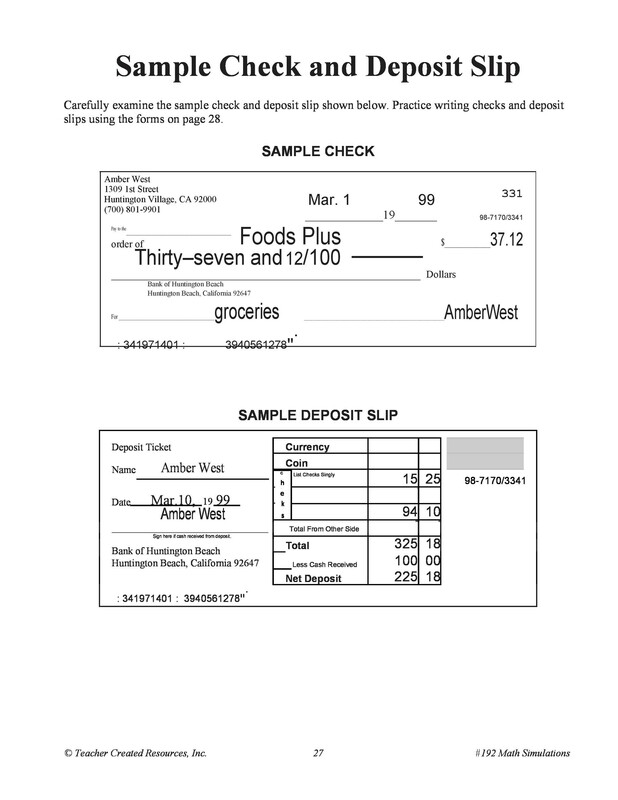 Include the check number and the amount of each check. If you don’t have any checks to deposit, skip this step. 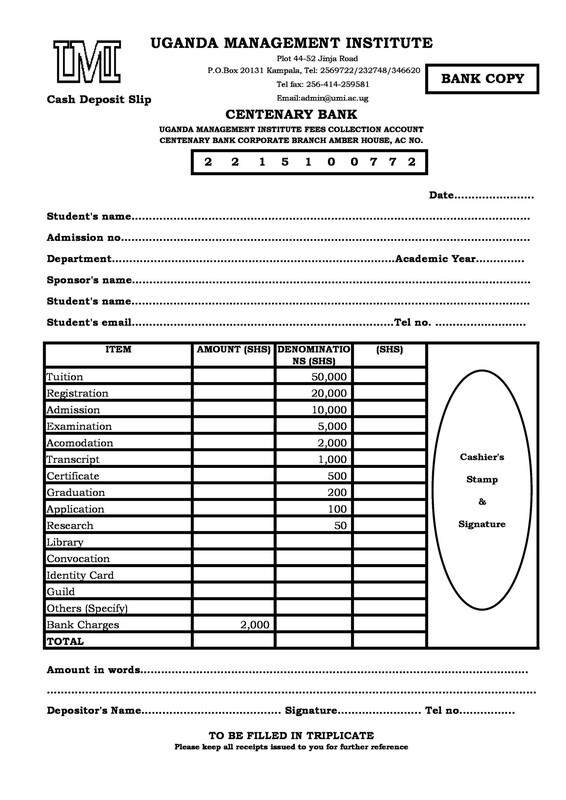 Add all the amounts you’ve written down to come up with the total. 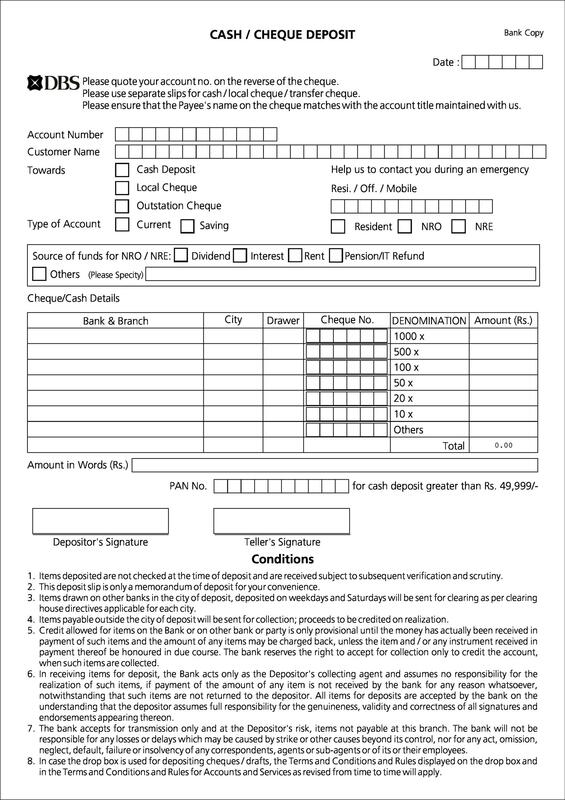 Finally, sign the deposit slip and give it to your bank for processing. Filling out the slip is that simple! Although the templates vary from one bank to another, they’re all very similar. Some banks have ATMs which you can use to make deposits directly. Some banks would still require you to use a deposit slip while some won’t. Some of the ATMs which accept this transaction would deposit your funds based on your ATM or debit card. For some, you can even deposit cash and checks directly. This would allow the bank to add the funds you’ve deposited into your account right away. However, you might not be able to withdraw the funds immediately. Another convenient way to make a deposit is through your mobile phone. This is a relatively new way to make a transaction. It’s very popular though because of its convenience. With this method, you won’t need to use a deposit slip. All you’d have to do is review the amount and your account details then confirm the transaction. Different banks have their own sets of rules when it comes to making deposits. These rules are often part of the funds availability policy. The policy explains how much time you need before you can access the funds you’ve deposited. You can also ask the bank personnel about this information. Either way, you should know all the information before you start making deposits.